It’s an exciting time when the possibility of having a Net Zero Building is very real. That’s why we are proud to introduce the BOMA Canada Net Zero Challenge, supported by Natural Resources Canada. 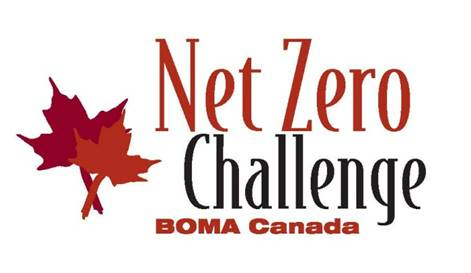 The BOMA Canada Net Zero Challenge recognizes the leadership of owners, developers, designers, and/or managers of buildings which demonstrate significant progress along the path towards net zero energy and/or carbon. The purpose is to help industry and move the market towards net zero energy and/or carbon. The BOMA Canada Net Zero Challenge was officially launched in 2017. Award recipients will be recognized at the BOMA Canada National Awards Gala September 11, 2019 during BOMEX 2019 in St. John’s, Newfoundland. • Best In Class: recognizes buildings that have made progress towards achieving net zero energy and/or carbon and are leaders in the industry. These buildings will have 12 months of data displaying that their energy usage and/or production meets their needs. • Innovation: recognizes buildings that have put in place exceptional strategies (such as management practices or technologies) that lead to a demonstrable and replicable significant reduction in energy and/or carbon while also providing a return on investment. Technologies or practices that enable the building to generate significant amounts of renewable energy on-site while still providing a return on investment will also be recognized in this award. • Most Improved: recognizes those buildings that are contributing to helping Canada achieve its climate change objectives by significantly improving their energy performance over their own baseline.